Your business could suffer unless you set up and maintain an accurate IT inventory. Find out why this process is so important for economic success and security. You might be losing money if you are not maintaining an accurate IT inventory. A good IT asset management plan can help businesses of all sizes increase their margins. The benefits are many and apply regardless of how sophisticated your IT infrastructure might be. Read on to find out why an efficient IT inventory is so crucial to the success of your business. A good IT asset management will provide you with the data you need to manage the life cycle of all your IT assets. The strategic and tactical power of this data is tremendous. IBM’s Security Intelligence says that IT inventory is now more important than ever. Companies rely more and more on their IT assets to realize their business goals. By effectively managing your IT assets, you can improve operations across the spectrum. More importantly, IT asset management can help with decision-making. If you are aware of the costs, efficiencies and dependencies of your IT infrastructure, you can better utilize them in your future plans. Determining the exact cost of upcoming IT infrastructure updates and maintenance expenses is a big asset. IT management can help guide future investment decisions and optimize business strategy. Businesses that do not maintain an accurate IT asset inventory can’t track vital assets across their operations. When it comes to server uptime, a good IT inventory can help prevent disruptions. This affects strategic decisions in the long term. Companies that track and manage their IT assets can protect sensitive information against threats. According to Gartner, IT inventory is now a mandatory requirement for efficient business operations. It is not an optional strategy. An IT inventory management program allows your managers to document and outline all IT assets and processes. If you know exactly what you own, you can control your business with more efficiency. Hardware will need periodic repairs and occasional replacements. It is important to know the state of your servers and peripherals. That way, you can plan repair and testing in advance and keep your operations running without interruptions. With IT asset management, you can monitor and report on the health of your company’s IT infrastructure. Just by tracking your assets, you can get a top-down view of how well things are going. Most other reporting methods rely on heavy data collection, which is costly and also taxes your IT infrastructure even more. Efficient reporting generates data for IT experts. The experts can use this data to develop numerous organizational improvements. These include LEAN methodologies, plans to reduce risks, and new IT implementations. These reports are also available to all stakeholders and are easy to understand by non-experts. IT asset management is valuable beyond c-level business decisions and business-wide reporting. IT inventory is crucial for business security, risk management, and regulatory compliance. If you don’t know the number and status of your assets, you can’t establish any efficient security protocols. If you track IT operations, you can verify and validate data. You can also handle risks more effectively and adapt to new regulatory requirements. Regulatory compliance extends across both hardware and software IT assets. While it is relatively easy to obtain exact numbers on hardware units, installed software can be trickier to track. This is especially true when companies don’t have their own VPN and rely on third-party IT solutions. If your business handles sensitive client data, you need to prioritize security. This reuquires an accurate software IT inventory. Moreover, software asset management makes it easier to collect data and documentation for regulatory requirements. By now it is obvious how IT inventory management can boost efficiency and profitability. Asset management allows you to put your money to better use and increase your margins. It will enable you to bring accurate information to your IT-related business processes. If you maintain an inventory of both your hardware and software, you can use that data to support the operations of all departments. This makes collaboration across different business units more efficient and profitable. A less direct benefit of IT asset management is investment tracking. It can help you understand where money is going and how to utilize it best. Underused or underperforming assets may be draining your budget. Also, relying too much on a limited number of hardware units may be taxing your IT maintenance. By tracking the life cycle of each device, you can ensure they are fully utilized before they are replaced, but not after they fail. Hardware management and software management help you track licenses and keeping in check with third-party agreements. Related to control, IT asset management also helps you track all outages or problematic incidents. You want your IT infrastructure to run optimally, so you must know its exact status at all times. You can also make inventory data available to all employees. That way, employees can post tickets to your IT department and fix issues ahead of time. We’ve seen how businesses can benefit by IT asset inventory and management. The tools to do so are easy to implement and the returns are significant. With more accountability, control and profitability, your business can thrive. If you are looking to sell, trade or consign hardware, check out NetEquity, one of the leading buyers of used IT and networking equipment. You can sell your excess hardware and optimize your operations. 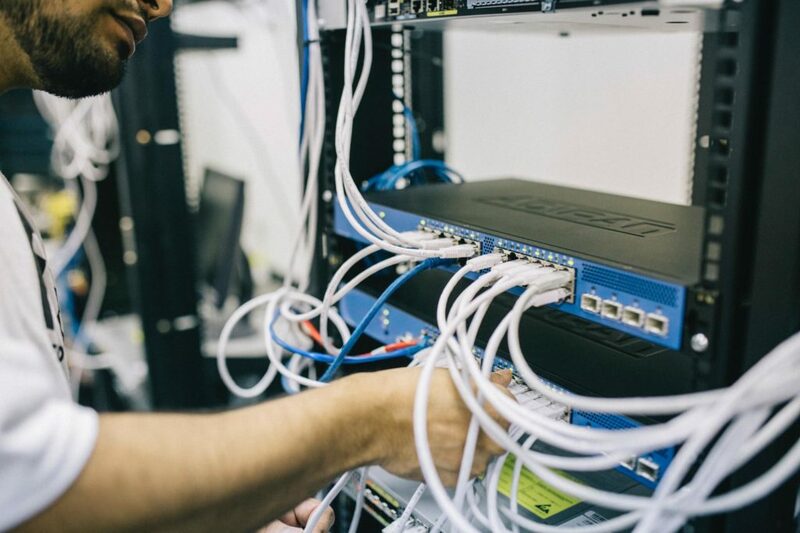 If you have a pile of routers, switches, wireless equipment, security, IP telephones, storage equipment or servers lying around, don’t hesitate to contact NetEquity today for a quote!